SLAM PHILIPPINES #163: OUT NOW! 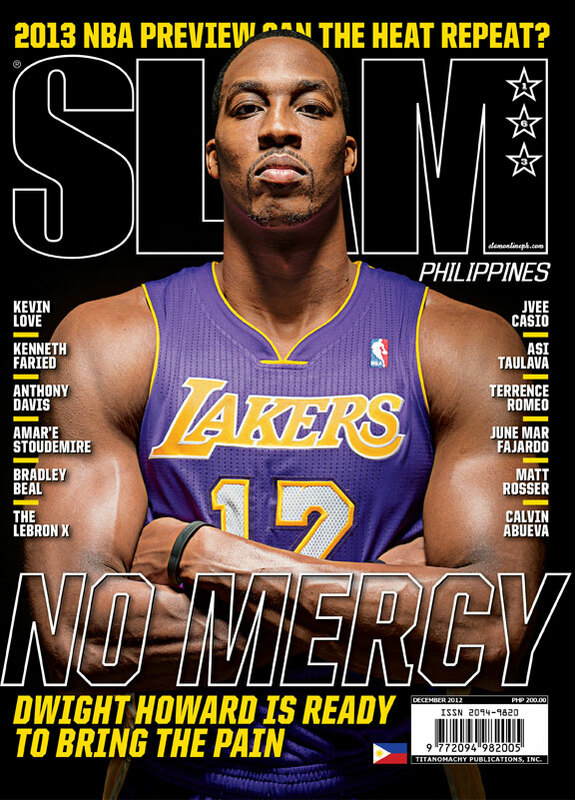 Dwight Howard dons the Purple and Gold on the cover of the newest ish, SLAM PHILIPPINES #163, out now in newsstands! Issue #163 includes feature stories on Alaska Aces spitfire guard Jvee Casio, 2012 #1 Draft Pick June Mar Fajardo, FEU star point guard Terrence Romeo, and San Miguel Beermen’s newest member, Asi Taulava. SLAM Philippines also previews the new 2012-2013 NBA season, with all 30 teams brokend down by NBA TV analyst Chris Webber. Plus, features on Amar’e Stoudemire, Kenneth Faried, and more.